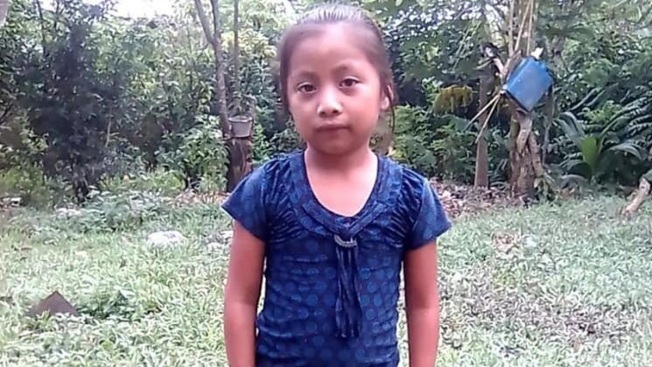 This undated photo obtained by Telemundo Network News and confirmed by officials with the Guatemalan consulate in Del Rio, Texas, shows Jakelin Caal Maquin of Guatemala. Seven-year-old Jakelin died two days after she and her father were taken into custody by U.S. Customs and Border Patrol along a remote stretch of the U.S. border. Hospital officials who treated the 7-year-old Guatemalan girl who died in U.S. Border Patrol custody said she appears to have died from sepsis shock, according to the most detailed timeline of her death released by the Department of Homeland Security. Autopsy results that will provide the official cause of death were still pending early Monday, NBC News reported. Sepsis is the body's extreme response to an existing infection somewhere in the body that can lead to rapid organ failure and death, according to the Centers for Disease Control. The statement released by DHS elaborated on what happened to Jakelin Caal Maquin in the hours after she and her father were apprehended by federal authorities and she became ill.